Fans have run wild with conspiracy theories that Kurt Cobain faked his own death in 1994 after footage of a Peruvian singer bearing a (almost in-existent) resemblance to Cobain resurfaced from 2012. Just like the conspiracy theory that Michael Jackson was seen in his daughter’s selfie, or that Tupac, James Dean, and pretty much every other celebrity all faked their own deaths, this theory is absolutely ridiculous. 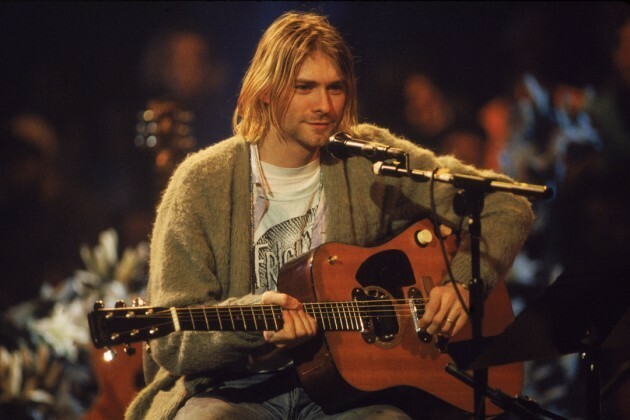 On Monday, the Daily Mail reported that fans of Cobain were sure they’d found proof the late rocker is actually alive and well in the form of Peruvian singer Ramiro Saavedra on the South American country’s talent show Yo Soy. It doesn’t matter that Saavedra looks nothing like Cobain or played with his right hand, fans just cared about how much he sounded like him. If you’re fluent in sarcasm, that all translates to: No, Kurt Cobain is definitely not alive, guys.